A beautiful detached stone longere property that comes complete with a 2 bedroomed holiday cottage, prefect for rental or guest suite. Superbly situated on a peaceful lane and afforded a high degree of privacy. The home is offered by the current vendors to a very high standard throughout. Full of modern convenience but packed with charm & character features such as exposed beams and fireplaces with log stoves. The main home comprises of 2 reception rooms, modern fitted and equipped kitchen/breakfast room, 4 double bedrooms including an en-suite master bedroom. The property is ready to use with no work required and benefits from modern electrics, good insulation, is double glazed has oil fired central heating. A delightful 2 Bedroomed self-contained gite will be perfect for visiting guests or those seeking supplementary holiday rental income. The gardens extend to more than half an acre with areas of lawn and established flower beds and borders. A terrace, ideal for entertaining or outside dining is the ideal spot from which to enjoy the views. A gated entrance ensures extra privacy. There is drive parking for several cars. Large stone barn with power, workshop and further small stone barn. 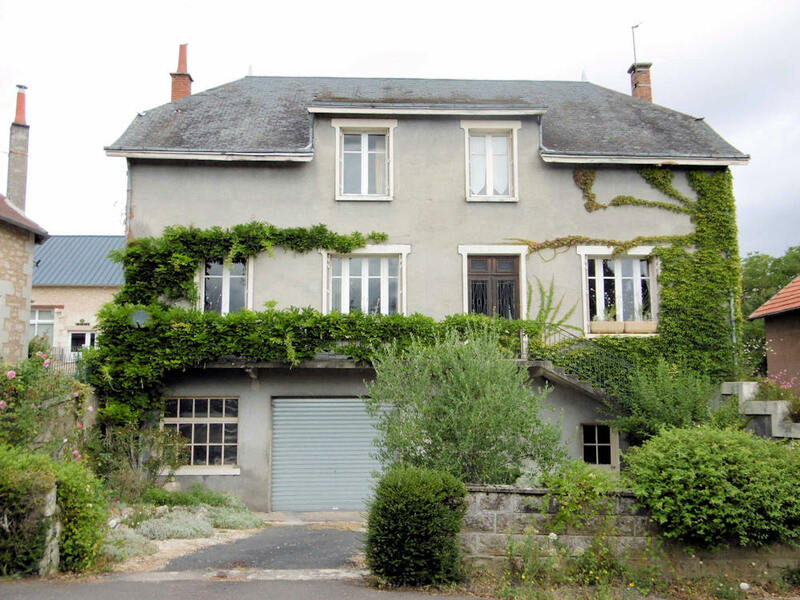 Situated in the countryside close to the charming small village of Buais where you will find a restaurant and bakers. Fougerolle du Plessis with more shops, supermarkets and restaurants is just 10 mins while 15 minutes’ drive find you in historic St Hilaire du Harcouet where you will find plenty of shops, supermarkets & lots more restaurants to sample. Beaches, St. Malo and Mont St Michel are all within an hours’ drive. For those who need easy access to and from the UK The A84 motorway which is just 10 mins away means the closest ferry ports are within easy reach with St Malo (1hr) Caen (1hr 20 mins) or Cherbourg (1hr 45 mins) making the property ideal for visiting friends, family or holidaying clients. The airports of Dinard (with flights to Stanstead and East Midlands) and Rennes (Southampton, Southend, and Manchester) are each within an hour of the home. Main Home: On the ground floor is a large entrance hall, 2 spacious reception rooms with exposed beams and wood burning stoves for cosy winter nights, one with large patio doors overlooking the garden and dining area. The kitchen is fully fitted with a good selection of storage cupboards and comes equipped with appliances. Toilet, utility room, boiler room. On the 1st floor are 4 double bedrooms, one with en suite shower room. A further family bathroom & separate toilet. Double aspect windows with country views. Mezzanine landing area. Gite - Attached to the house is a 2 bedroomed gite with open plan kitchen, lounge/diner – perfect for guests and ideal for rental for those seeking supplementary income. Gardens – Extend to approx. 2500m2 and are a real delight with superb views over countryside. Terrace for dining and relaxing while you sit back with a cool glass of wine and enjoy your new surrounds. Plenty of parking including space to keep a motorhome or caravan. Large stone barn, small stone barn and workshop.